Get educated about the basics of HIV and AIDS in and out of their local communities. Get tested for HIV to know their status. 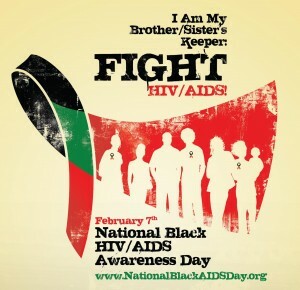 Get involved with NBHAAD events and raise HIV awareness. Get treated if you’re living with HIV. Why is there a need to set aside a day for a specific community like this one, you ask? Great question! Many studies have shown that HIV disproportionately affects black Americans. For example, the Centers for Disease Control and Prevention (CDC) reports that in 2010, African Americans made up 44% of all new infections despite only making up 14% of the population. This gives them a rate that is 8 times as high as that of white Americans! Many factors are associated with the increased risk for HIV/AIDS within the black community, which includes but is not limited to: a higher rate of poverty, lesser access to health care and a higher rate of other sexually transmitted infections (STIs). One particularly noteworthy factor associated with the increased risk for HIV/AIDS within the black community is HIV/AIDS-related stigma—a topic that I have personally researched during my senior year in university. HIV/AIDS-related stigma refers to the negative attitudes toward people living with HIV/AIDS. While on the surface, it seems that it would only affect people already living with HIV/AIDS (PLWHA), it actually has a staggering effect on every one. These stigmatizing attitudes result in lower HIV testing rates, lower knowledge on the actual nature of HIV transmission, and the ostracization of PLWHA and groups that are already associated with having a higher risk for HIV infection—including gay men and blacks! Because NBHAAD is a day of action, I started to wonder what I could do to help. I could get tested and educate myself—that’s always a good thing—but I do that on a regular basis anyway. So what can I, as an Asian American youth, do for NBHAAD? Thinking back to HIV/AIDS stigma, I started to get ideas on what I could do to help. Many mhealth apps and programs that cater to HIV/AIDS provide the user with confidential services at their fingertips, thus helping get around certain aspects of HIV/AIDS stigma. One example is YTH and Oregon Health Authority‘s Oregon Reminders, which is a program designed for Oregonians to set up your own reminders to test for HIV and other STDs, to take medication, refill prescriptions and even sign up for weekly health tips—all for free! Aside from giving reminders and health tips, many other mhealth apps give you mobile references, nearby clinic locators, and other nifty things. 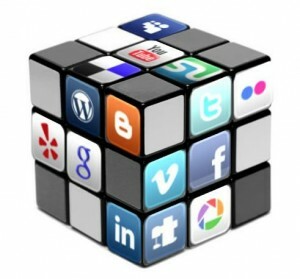 Check out this list of apps available to iOS and Android smartphone users! The problem is that these apps aren’t in the mainstream. We just aren’t having regular conversations about these things. What I have decided to do is to use the power of social media to help start conversations on centering on HIV/AIDS awareness. It could be as simple as sharing a link to a really cool app you found from the list above on Facebook or reblogging NBHAAD events on Tumblr. This helpful toolkit from the NBHAAD website even suggests making a Vine video to help #NBHAAD and #talkHIV start trending! I urge everyone to take this day to make at least one post on their social media accounts about NBHAAD and help spread the word, shatter the stigma, and get involved! HIV/AIDS awareness shouldn’t get put on pause until next year’s NBHAAD. Come to YTH Live in April to hear about mobile medical adherence apps, online resources designed specifically for HIV providers, digital storytelling to address stigma and social change, and more. I hope to see you there! 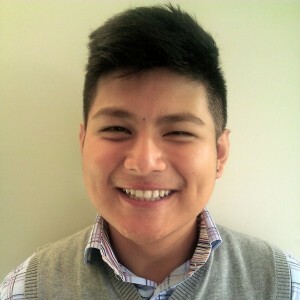 Wayne Sy is a member of YTH’s Youth Advisory Board. Creative Commons photo by Fabian Medina.